Good Friday in Australia is celebrated on the Friday before Christ's crucifixion by many Christians around the world. It honors Christ's accomplishments and passion. To honor this day Australians will mourn for Jesus and sometimes create a re-enactments of the Crucifixion. 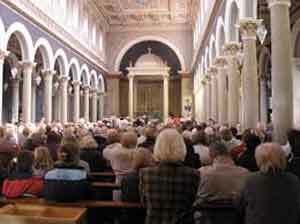 Many attend church throughout the day as well. To most Christians this holiday has been around since the resurrection of Christ and is called 'good' because Christ defeated death and sin itself. Others believe it derived from the day of God's Friday. Provides calendars for the calendar year for Australia. Provides the dates for holidays for the calendar year for Australia.